2018 was a rollercoaster year for Apple — with incredible highs, massive dips, and probably an executive or two throwing up along the way. Apple became the first $1 trillion public company in U.S. history, unleashed some amazing new products, and pulled in record amounts of cash. But it also faced lows, from the iPhone-throttling controversy to a tanking stock price at the end of the year. One thing that can’t be said, however, is that this was an uneventful 12 months for Cupertino. 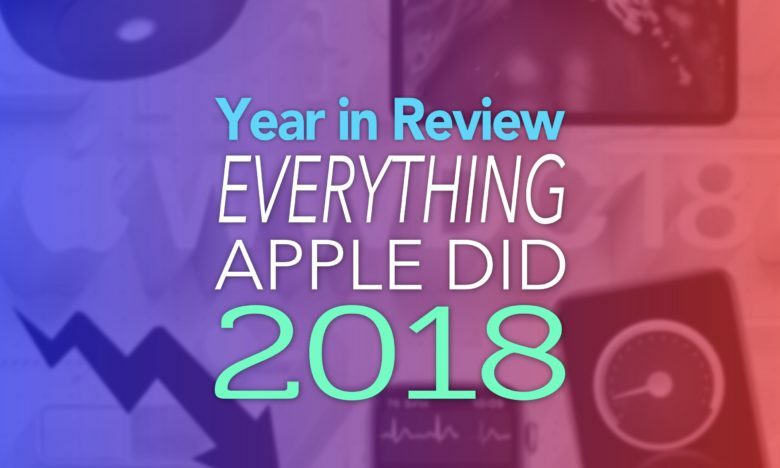 Here’s a recap of some of the year’s most memorable Apple moments. Remember the iPhone throttling controversy? 2018 kicked off on a good note with Apple breaking its previous record for most revenue pulled in by the App Store in one single day. iPhone and iPad customers spend $300 million on New Year’s day alone — obliterating the previous record of $240 million. Things turned bad soon after this, however, as January is full of complaints about Apple’s apparent “throttling” of older iPhones. While Apple is adamant it slowed down certain older iPhones for their own good, users aren’t all convinced. In South Korea, 370,000 people band together for a class action lawsuit. Apple offers cheaper battery replacements as an attempted make-good. 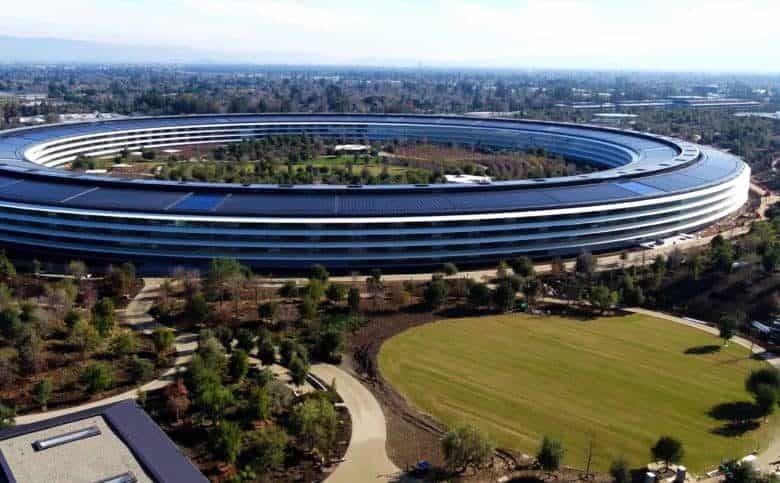 Apple Park officially became Apple’s corporate HQ. At long last, Apple Park becomes the official corporate address for Apple, taking over from 1 Infinite Loop. Apple employees celebrate the move to their new, exquisitely designed home by… accidentally walking into its glass walls. After months of delays, the HomePod smart speaker goes on sale. The verdict from most? Great sound, disappointing Siri. A disastrous Snapchat redesign whips up tons of negative press. Things go from bad to worse when reality TV star Kylie Jenner voices her disapproval. Around $1.3 billion instantly disappears from Snapchat’s valuation. Apple completes the transition of iCloud accounts registered in China to state-run Chinese servers. Privacy and human rights advocates get nervous. Last but not least, Apple brings in more money than ever in its Q1 earnings — but investors aren’t blown away. 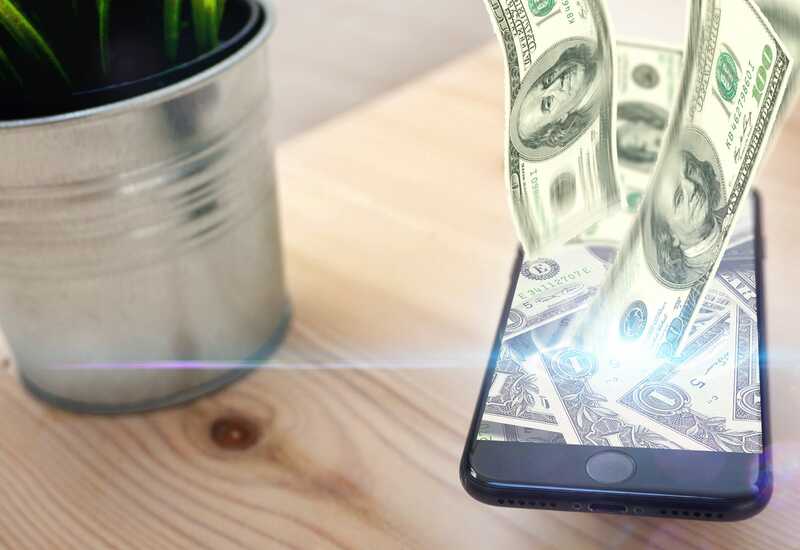 While cash is at an all-time-high, there are concerns about a possible iPhone sales slump in the making. 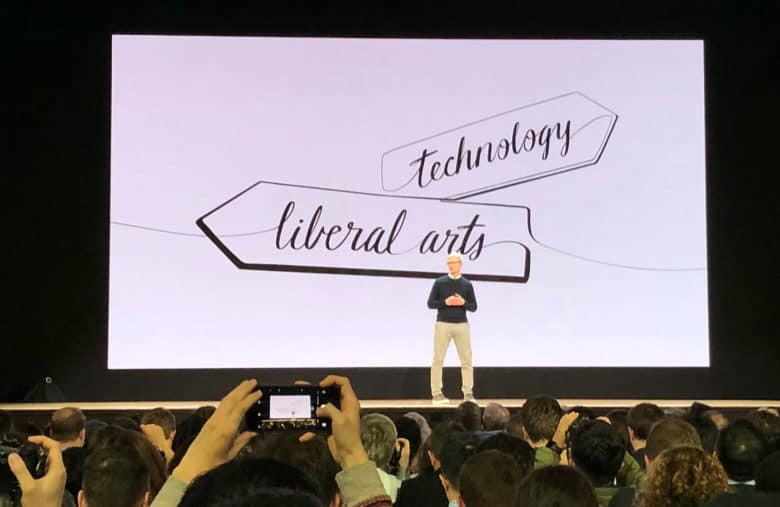 At Apple’s education-oriented iPad event, Tim Cook positioned the company squarely at the intersection of technology and the liberal arts. Apple hosts its first media event of 2018, with its education-oriented “field trip” event in Chicago. The biggest announcement coming out of the event is an upgraded 9.7-inch iPad with Apple Pencil support. In other news: Apple buys subscription magazine service Texture. A police officer resigns after stealing a pair of AirPods from an Apple Store. Facebook reels from the accusations surrounding the Cambridge Analytica scandal. At one point, Tim Cook is asked what he would do if he was in the same situation as Facebook CEO Mark Zuckerberg. “I wouldn’t be in this situation,” Cook cooly replies. Finally, battle royale game Fortnite arrives on iOS, and quickly starts raking in money like it’s going out of fashion. My colleague Killian Bell — about as enthusiastic a Fortnite player as you could hope for — stops leaving his house. This stunner launched in April. 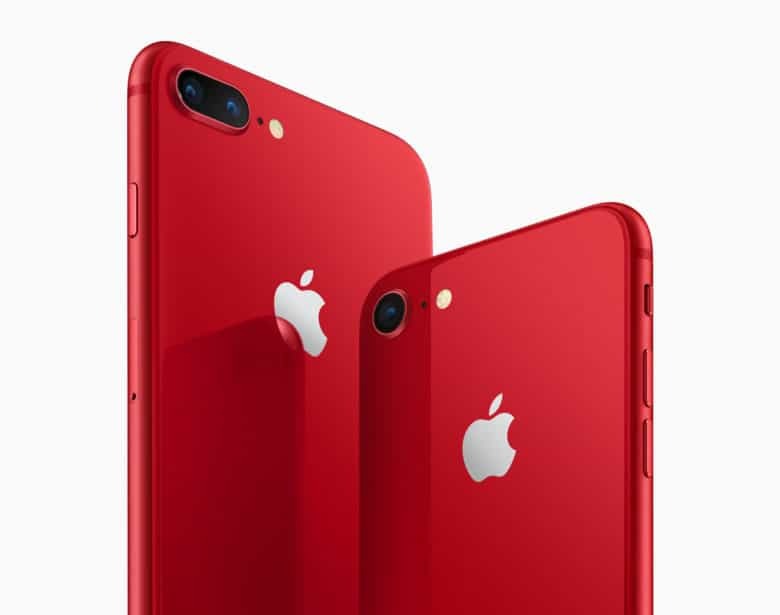 Just like it did in 2017, Apple introduces a mid-cycle iPhone refresh in the form of a special (Product)Red edition. The limited0edition red iPhone 8 and 8 Plus becomes a big hit with customers. And rightly so: It’s a stunner. Plus, a percentage of the money goes toward fighting HIV and AIDs. Speaking of doing good around the world, Apple announces that it achieved its goal of becoming 100 percent powered by renewable energy. Apple Music gets a new boss in the form of Oliver Schusser. He replaces Jimmy Iovine as head of Apple Music Worldwide. Finally, Tim Cook attends President Donald Trump’s first White House state dinner since moving into the Oval Office. The iPhone X wasn’t such a flop after all. Apple blows away analysts’ expectations with its best ever Q2 earnings when it comes to revenue. The biggest shocker? That, contrary to just about every report going, the iPhone X was actually a massive hit for Apple. That’s something worth bearing in mind when it comes to the current crop of iPhone sales negativity. In other news: Apple gets permission to use drones to improve the quality of its mapping software. Apple ditches plans to build a $960 million data center in Ireland after too many delays were placed in its path. Apple lets customers download a copy of all the data Apple keeps on you. And Apple and Samsung meet in court to resolve their legal battle for what may be the last time. Terms of the final settlement are not made public. As ever, WWDC was a highlight of the Apple year. 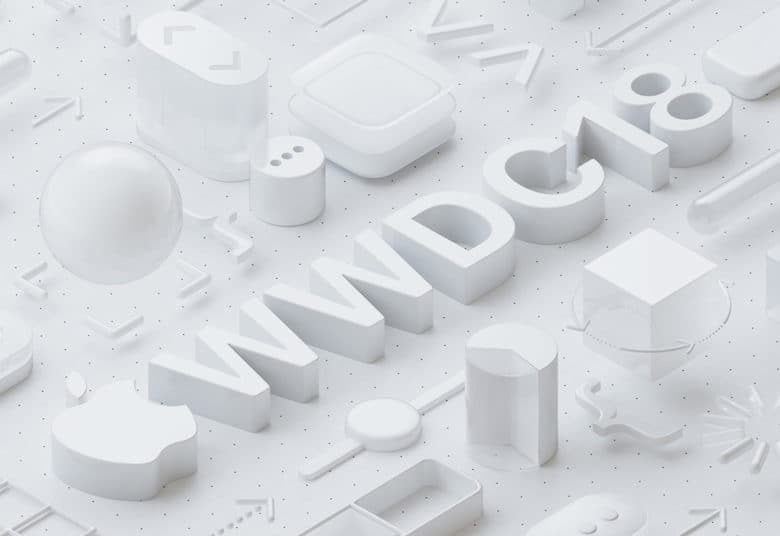 Apple’s Worldwide Developers Conference (WWDC) is where all the biggest June news comes from. The software-focused event gives users their first glimpse at iOS 12, macOS Mojave, tvOS 12 and watchOS 5. Elsewhere: Apple enlists Oprah Winfrey for its original TV content efforts. The eagerly anticipated iPhone SE 2 is reportedly cancelled by Apple. Thieves pull off a daring Mission Impossible-style Best Buy robbery and make off with more than $100,000 worth of Apple products. Tim Cook joins other Apple employees in the San Francisco Pride parade. And Queen Elizabeth II reveals how she uses her iPad. And, no, it’s not for competitive Fortnite playing. Drake’s album Scorpion shatters records on Apple Music, becoming the fastest growing album ever on the service. Nine of the 10 most streamed songs on Apple Music during its first 24 hours come the album. Apple gives its MacBook Pro line-up a surprise update, adding 8th-generation “Coffee Lake” Intel Core processors. Apple scraps the designs for a proposed “global flagship” Apple Store in Melbourne, Australia, after locals complain it looks like a toasted sandwich maker. An ex-employee who allegedly downloaded blueprints for the in-development Apple Car and attempted to flee with them to China is arrested. Engineer Xiaolang Zhang is stopped while going through the security gates at San Jose airport. He later pleads not guilty. Finally, Apple posts its biggest Q3 earnings report ever. Investors expecting Apple to post $51 billion in revenue go crazy when the actual figures come in at $53.3 billion. That’s a 17 percent increase from the June quarter one year earlier. Apple becomes the first publicly traded company in history valued at $1 trillion. It’s an astonishing achievement by any measure. Tim Cook is awarded $120 million in stock options. The timing is coincidental, but it’s hard to argue he didn’t deserve it! In other news: an Australian teenager who repeatedly broke into Apple’s computer system faces criminal charges. He stored the files in a computer folder called “Hacky hack hack.” That sounds like a rookie error to us! Apple pulls a massive 25,000 apps from its Chinese App Store following state media complaints about the company. Chinese smartphone maker Huawei steals Apple’s place as second-largest smartphone maker by shipments. 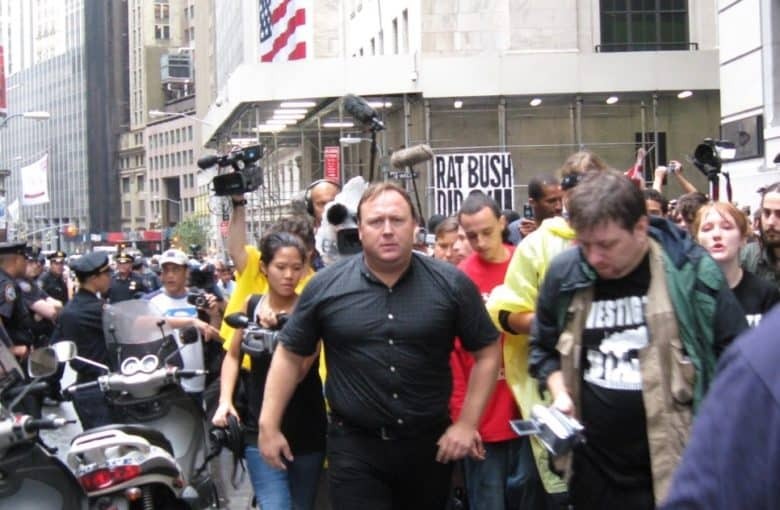 Finally, Apple removes multiple podcasts belonging to conspiracy-oriented right wing pundit Alex Jones from its Podcasts app. People in favor of the move praise Apple with cracking down on hate speech on its platforms. Critics voice concerns that Apple is silencing conservatives. The following month, Apple doubles down by booting Jones out of the App Store as well. Apple’s September event was enormous. Apple’s “Gather Round” keynote is its biggest (and most hyperbolic) media event of the year. 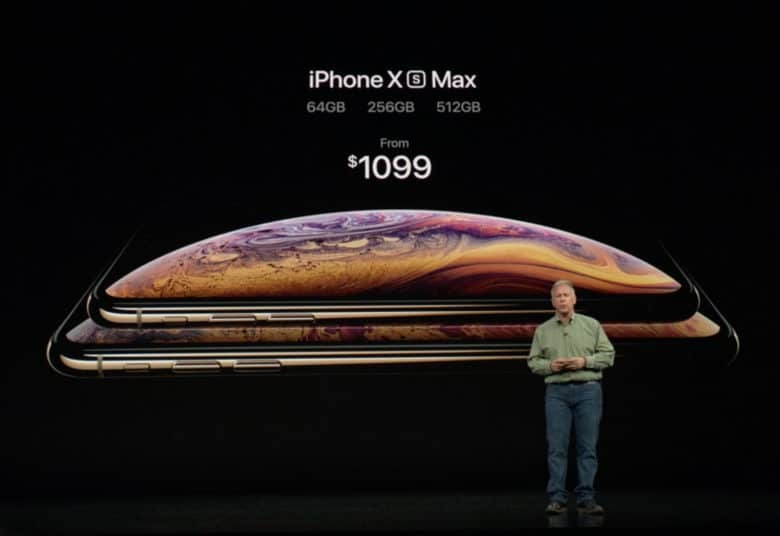 At the event, Apple unveils its iPhone XS, XS Max, and XR handsets. The (comparatively) low-cost iPhone XR gets the main event spot. However, the biggest show-stealer of the event is the Apple Watch Series 4 — boasting new health sensors and a bigger display. One product not mentioned? Apple’s MIA AirPower charger. A report published in September suggests that it’s well and truly borked. Three months later, and we’ve got no reason to doubt it! Elsewhere: a report claims Apple’s original TV shows will be squeaky clean and family friendly. iOS 12 goes live to everyone who wasn’t willing to download an early beta version. Seventeen people are arrested for a spate of Apple Store robberies, mainly in California. 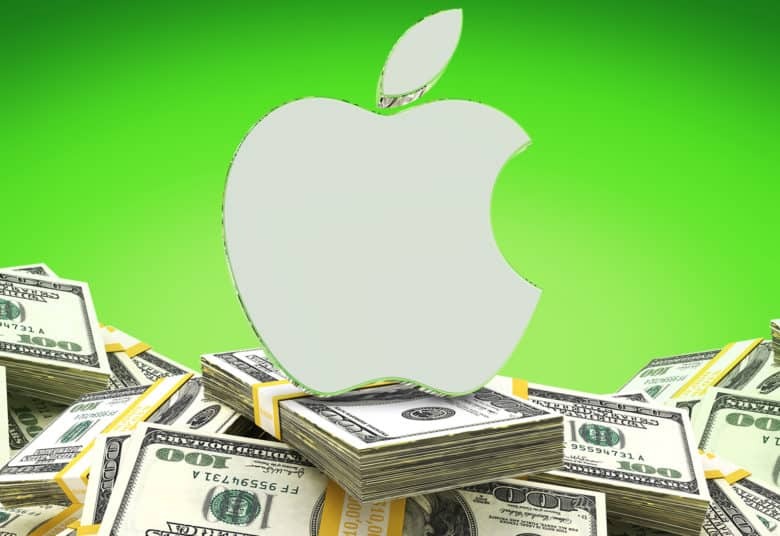 Apple makes its last $16.7 billion payment to the EU for alleged tax evasion. And British artist David Hockney unveils a stained glass window at London’s Westminster Abbey, designed on an iPad. We’re still drooling at the new iPad Pros. Just one month after Apple’s iPhone event, Apple knocks it out of the park with its final media event of the year. Titled “More in the Making,” this event unusually hails from New York City — and the atmosphere justifies the change from Cupertino. Apple unleashes a slew of new devices at the event. Its new iPad Pro represents the biggest design overhaul in iPad history. 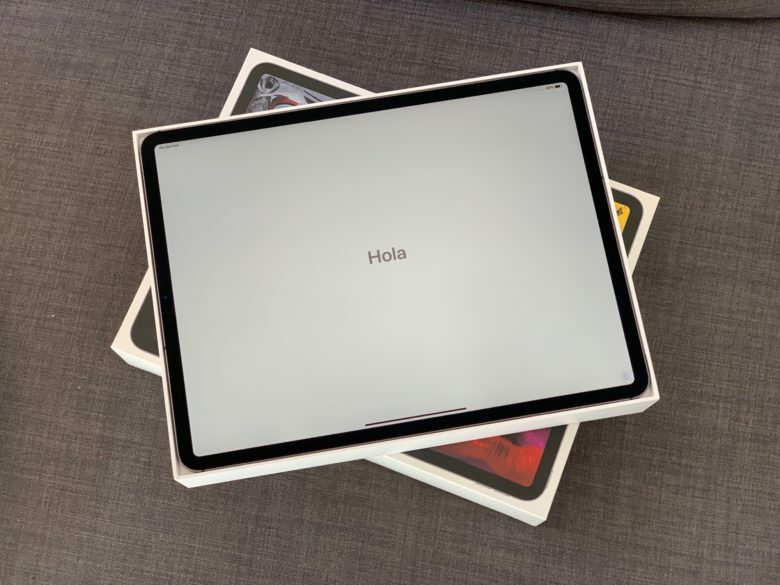 It brings the iPad in line with the new iPhones, ditching the Home button and wider bezels. The Mac Mini gets its first upgrade in four years. And the Retina MacBook Air may well be Apple’s most beautiful laptop of all time. All in all, a big win for Apple! In other news for the month: Tim Cook suggests that the U.S. adopts European-style data regulations, targeting data-hungry tech giants. In the weirdest Apple controversy in ages, Apple introduces a new bagel emoji after the last one was criticized for looking unappetizing. And Apple stock hits a high of $232.07 before it begins it massive decline. The potentially biggest story of the month was Bloomberg alleging that Chinese spy chips had made it into server hardware used by companies including Apple. The story was published as a major expose, but then seemed to fall apart with no further evidence presented. Tim Cook later called on Bloomberg to retract the story. As far as we’re aware, it has yet to do so. Apple stock’s rocket ride can’t last forever, apparently. November isn’t the best month for Apple. Microsoft overtakes it in market cap valuation for the first time in 2010. Apple has to defend its app pricing structure in a federal appeals court. Queen’s Brian May bashes the USB-C connector in an online rant. And a YouTube video shows the iPad Pro snapping in half like a cream cracker with ease. Meanwhile, Apple’s stock price continues to fall as we’re bombarded with reports of falling iPhone interest. (Not helped by Apple revealing it will no longer report iPhone sales numbers.) This is despite Apple reporting record-breaking quarterly earnings. 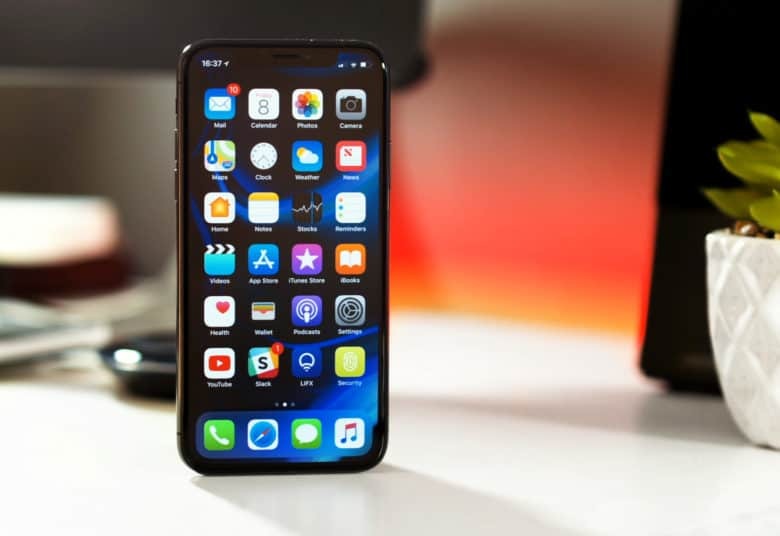 In a rare move, Apple executive Greg Joswiak does a bit of damage control, by reassuring everyone that the iPhone XR is Apple’s top-selling phone. He doesn’t reveal any figures, though, thereby sidestepping the question. One bright spot is Apple’s 15-inch MacBook Pro getting a slight upgrade, allowing users to add Radeon Pro Vega graphics to its top-of-the-line model. Oh, and a Russian man buys an iPhone XS with a bathtub of coins. Because why not? Apple Watch’s ECG tech is a game changer. It’s another bruising month for Apple stock, and FAANG stocks in general. HSBC freaks everyone out by saying that iPhone growth is “broadly over.” That’s not Apple’s first ever doom prediction, but this one at least has the ring of truth. At least in terms of the crazy growth of earlier years. 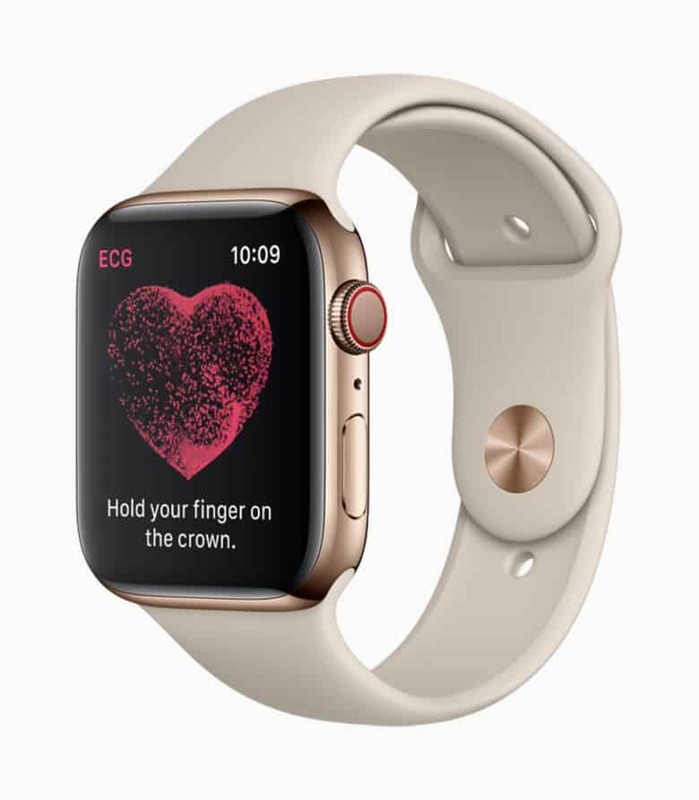 Apple Watch’s eagerly anticipated ECG reader officially rolled out. Tim Cook stated that improving people’s health will be “Apple’s largest contribution to mankind.” And here we were thinking it was animojis! Finally, new anti-encryption laws in Australia threatened to hurt tech companies including Apple. No, Australia isn’t the biggest Apple market on the planet, but in its role as one part of the Five Eyes security alliance (along with New Zealand, Canada, the U.K. and the U.S.), this could have wider reverberations. One to watch in 2019.